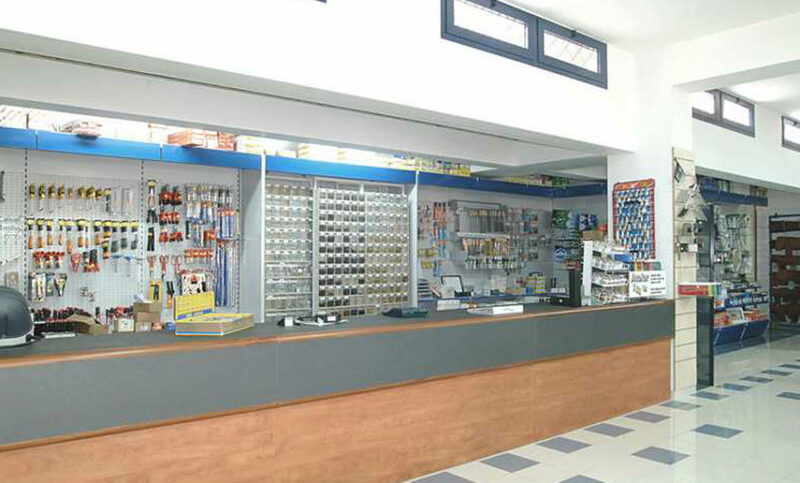 The counter is one of the most important elements in a spare parts shop. In fact, even though a self-service system is used, there are some articles which have to be necessary sold at the counter. Therefore, we offer metal or wooden counters which are extremely solid and functional. Moreover, they are equipped with shelves and wide internal drawers so to have a wide range of products to be within reach. Our counters are always realized with colours and materials which allow a perfect integration with the shelving system creating an harmonious furnishing.